I’m not big on nightlife in most of my travels. It’s not that I don’t like to go out at night. It’s just that I’m usually alone, and bars and clubs aren’t my thing when I’m on my own. But that doesn’t mean I don’t like walking around my city of choice just to see the city at night. Kyoto is no different. It doesn’t have a hip, happening nightlife like you would find in Tokyo. There are plenty of restaurants and there are bars, but it’s much more low key. 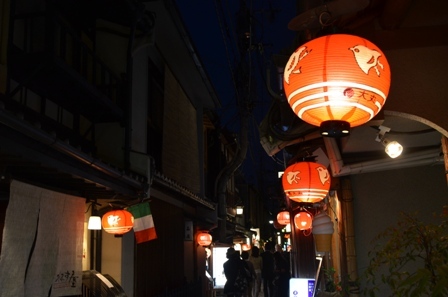 The two more traditional nightlife areas are often identified as Gion and Pontocho. Gion in particular is the the more traditional nightlife area that was the center of geisha culture. I walked around there briefly late at night, and it was remarkably dark, because there wasn’t a lot of streetlights. For obvious reasons, it’s much easier to see the district during the daylight. Gion is easily reached by the train. The closest train stop is Shijo on the Keihan Main Line. Walk east on Shijo Dori and then take a right on Hanamikoji Dori. The district is small and filled with narrow streets that are filled with people during the day, but are relatively quiet at night. 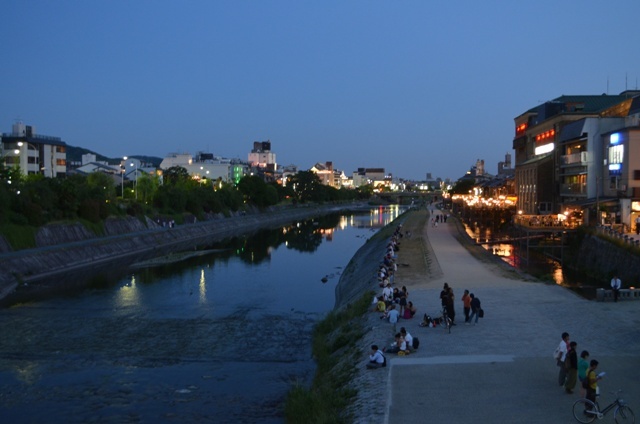 Another nightlife district is Pontocho, which is also nearby. 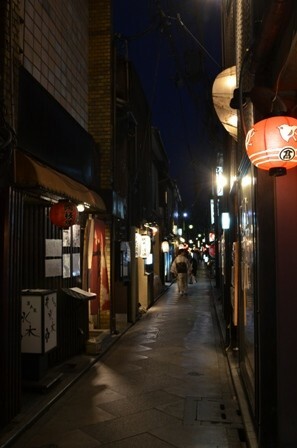 Pontocho is a narrow alley that parallels the Kamo River and stretches from Shijo Dori north to Sanjo Dori. There are numerous train stops on either side of this district. Pontocho is filled with bars and restaurants of all varieties for enjoyment. 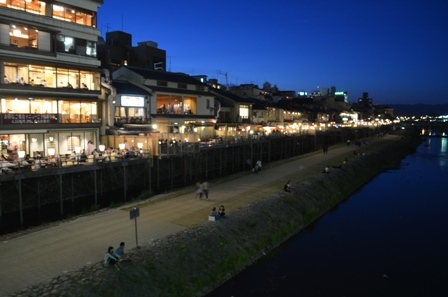 Many of these restaurants have terraces set up overlooking the river, and customers can pay a surcharge to enjoy the view in the cool night. Kyoto is a not a city to go for super modern, insane nightlife like you find in large cities. 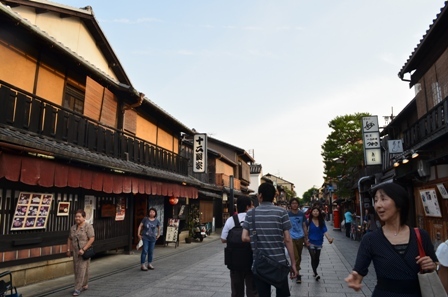 Though it does have plenty of bars and restaurants, it’s much more laid back with hints of Kyoto’s traditional past. 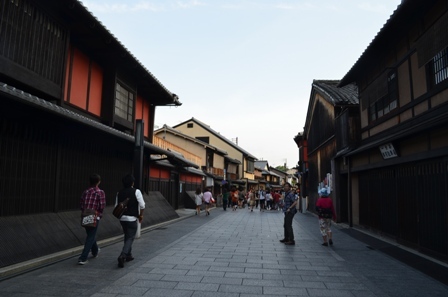 This entry was posted in Travel and tagged Gion, Japan, Kyoto, nightlife, Pontocho.